Oral Appliance Therapy is provided by a dentist trained in Dental Sleep Medicine only. There are a large number of anti-snoring devices available in the market today; hence finding the right solution for your snoring problem can be quite a daunting task. However, most of these unusual devices are not successfully proven or only work by simply keeping you awake all night. 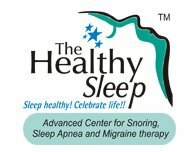 Fortunately there are plenty of proven techniques that can help you minimize and eliminate snoring. Not every remedy will work for every person; hence it requires patience, lifestyle changes and a willingness to experiment with different solutions. The principle and most important step to solving a snoring problem are to find the cause of your snoring. Encourage your non-snoring sleep partner to help you keep a sleep diary to monitor your snoring. Observing snoring patterns can often help pinpoint the reasons as to why you snore, what tends to make it worse and what is the treatment that will help you stop snoring. It is important to choose a treatment that has been scientifically proven to be effective and comfortable and used by qualified experts in the field mainly because there are many unproven and ineffective remedies for snoring and sleep apnea. Customized dental sleep appliances are now regarded by sleep physicians as the best available treatment for snoring and a primary treatment for sleep apnea. The appliances are made from thin yet high strength acrylic and they go over the top of the teeth and are also worn during sleep. Such customized sleep appliances have been proven to be safe, effective and comfortable with minimal side-effects. Based on over 15 years of published scientific studies, dental sleep appliances are now readily acknowledged and accepted by the American Academy of Sleep Medicine, the most distinguished body in the field, as an ideal treatment for snoring as well as mild to moderate sleep apnea. There are various studies and evidences that demonstrate and suggest that dental sleep appliances are over 95% effective in overcoming snoring. 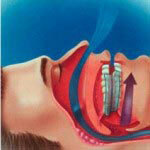 How does an oral sleep appliance eliminate snoring & sleep apnea? The primary way that appliances work is by preventing the tissues at the back of the throat and the base of the tongue from collapsing back into the airflow passage. These appliances bring the lower jaw forward along with the tongue, in turn clearing the airway at the back of the throat.